Regardless of where you are in the legal process, our attorneys will work with you to help you make the best decisions for your particular situation, regardless of whether those decisions involve planning for the future or overcoming a current legal challenge. 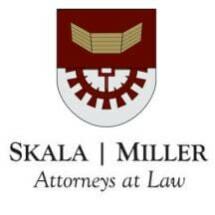 If you would like to discover why so many people in Greensburg, Altoona and Pittsburgh and the surrounding counties of Westmoreland, Indiana, Somerset, Cambria, Blair, Washington, Fayette, Butler and Allegheny turn to our law firm, Skala | Miller, PLLC, Attorneys at Law, for assistance, you can do so by scheduling a free case review. During your first meeting with a member of our legal team, you will learn why we are a leader in the region.